West Indies Jamaica Blue Mountain Coffee/Kaffee Liqueur, 750 ml, 24 % Vol. "The majestic Blue Mountains of Jamaica provide the perfect ecological environment for cultivating Arabica beans: Of balance, of sun and shade, volcanic-based soil, lush flora, and cool temperatures. Arabica beans are far more delicate and flavourful than South American Robusta beans. 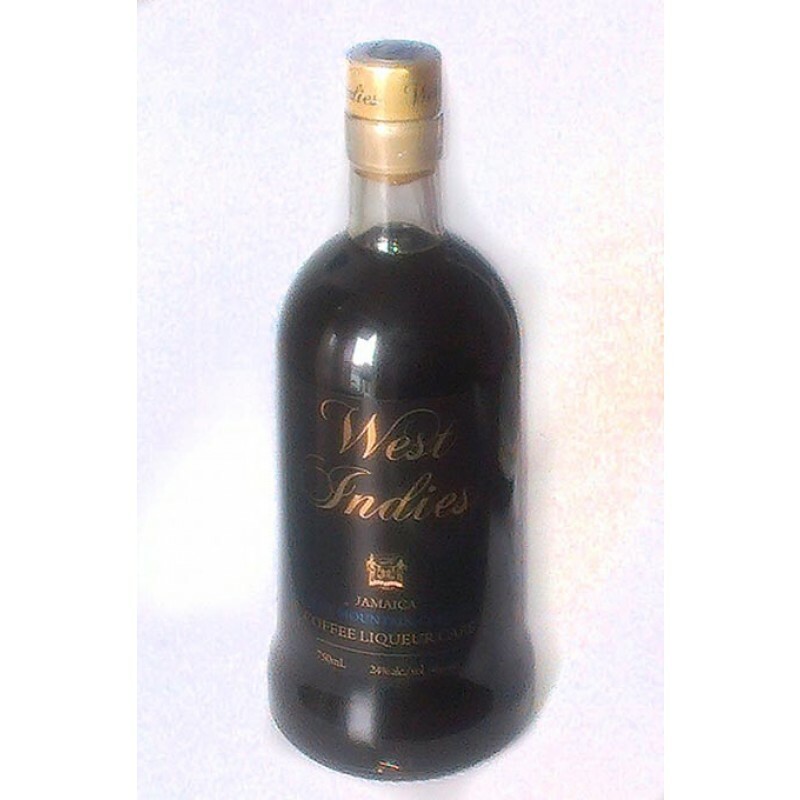 West Indies Blue Mountain Coffee Liqueur is made with authentic Jamaica Blue Mountain Coffee, cane sugar, and other natural ingredients sourced locally in Jamaica. Use this versatile liqueur to create a smooth coffee cocktail, drizzle over desert, or add complexity to your cooking." Diese Flasche dürfte sonst in keinem deutschen oder europäischen Onlineshop erhältlich sein. Falls ja, dürfen Sie mich gerne vom Gegenteil überzeugen. Der Drink wird von dem Hersteller nämlich nicht nach Europa exportiert, sondern wird extra für Sie aus Jamaika privat verschickt. Marke: Jamaica Standard Products for Rums and Spirits, Kingston/Jamaica.